Aerogel is a lightweight nanostructure material in which the liquid component of the gel has been replaced with gas. Silica aerogel is the most common type of aerogel, enjoying the largest market share amongst all types of aerogel. Some of the major benefits of this aerogel like poor heat conductivity or high thermal insulation, lightweight, flexibility and durability are the key reasons why they are being preferred over traditional insulators. This has given a major boost to silica aerogel market. Silica aerogel finds wide ranging applications in various industries like aerospace, oil and gas, marine, among others. Increasing industrial applications and technological advancements are guiding the market towards high growth. The global market for silica aerogel was valued at USD 0.12 billion for 2016. On the back of rising industrial applications, the market is expected to grow at a CAGR of 30% during the forecast period and reach a market size of USD 1.07 billion by 2024. 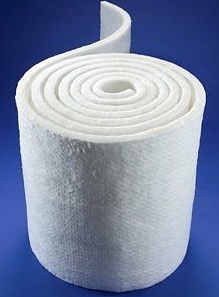 The blanket form of silica aerogel has the highest demand amongst all forms of silica aerogel, due to its wide scale usage in industrial insulation. These blankets provide easy application and energy loss prevention, adding to their popularity. The Oil and Gas sector is the largest end user of silica aerogel market amongst all end use industries, owing to high demand in refineries, petrochemicals and gas processing plants, subsea piping etc. Geographically, North America is the largest market for silica aerogel, accounting for over 60% of global revenues of silica aerogel. The Asia Pacific and European regions are expected to witness high growth during the forecast period, owing to rising industrial demand for aerogel in these regions. Rising demand for industrial usage, benefits over conventional insulating materials and research and development for improving the manufacturing process are the key factors driving the market for silica aerogel. These aerogel are finding increasing applications in several industries like oil and gas, aerospace, building and construction, among others, owing to excellent properties like thermal insulation, strength and absorption qualities. Environment friendly nature of materials adds to the popularity of these aerogel. Rising demand in developing regions and regions with a booming industrial sector will further contribute to market growth. However, production costs continue to pose as hindrance to market growth. This makes the products expensive for end users as well, compared to other insulating materials available.